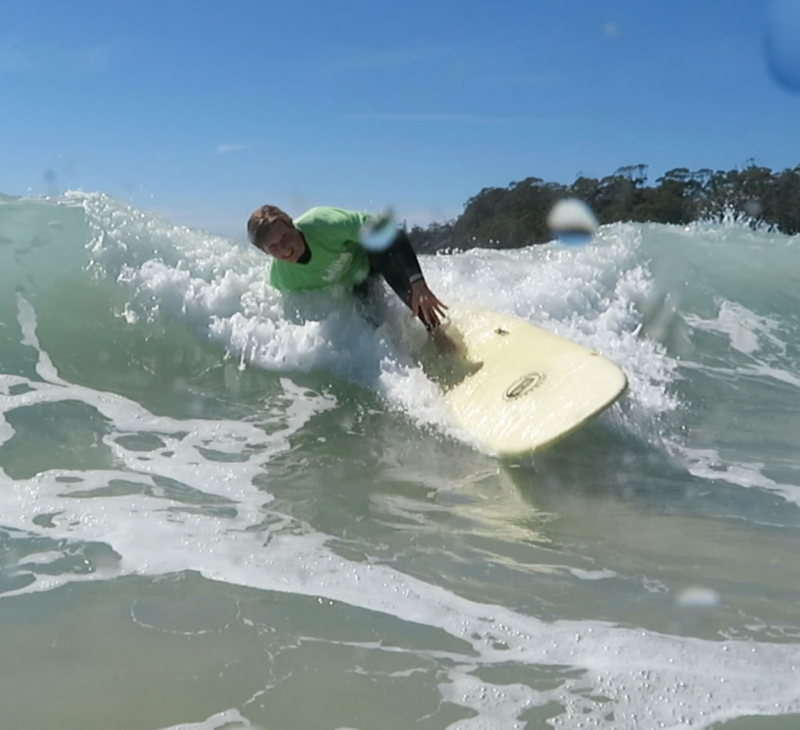 Learn to surf in Mollymook with former world champion Pam Burridge. 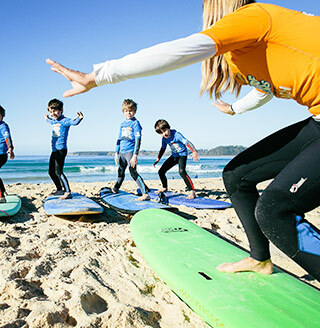 Surfing lessons on some of the most beautiful beaches on the NSW South Coast. Learn to surf with the best surf school on the coast. 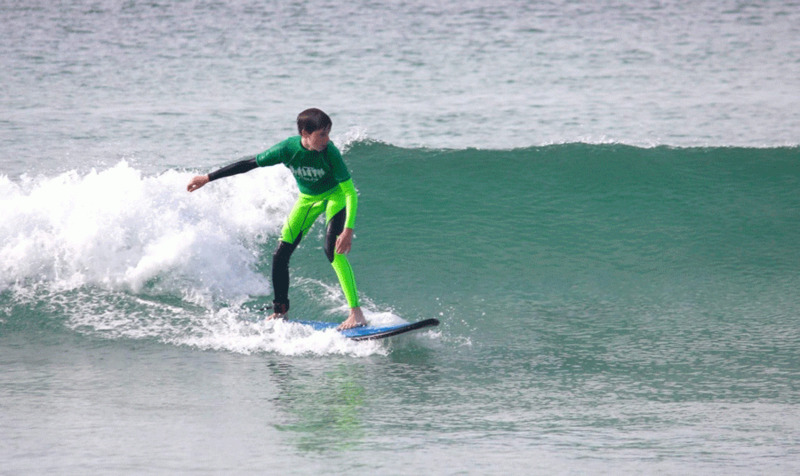 Friendly coaches, great with kids and big kids alike making learning to surf a super fun experience. You don't need to be brave, just willing to give it a try. All gear supplied and cater for ages 5 and up. Summer Holiday lessons everyday except Xmas & Boxing Day. Learn to Stand Up Paddleboard with Pam Burridge Surf Schools on the beautiful south coast. Paddle the calm lakes and waterways with gorgeous views. It's so easy most people don't even get wet. It's like snorkelling from above the water as you glide along. 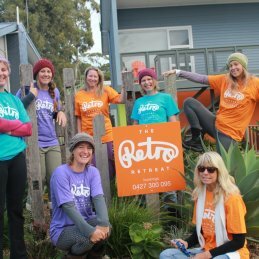 The Surf Retreat concept is a low key weekend away with like minded women who either want to learn to surf or improve their skills & have lots of fun along the way. You will learn to surf or stand up paddle-board at some of the most beautiful locations on the South Coast with Former World Champ Pam Burridge. 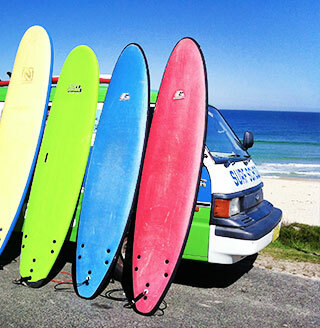 Once you have learned the basics you can hire surfboards, SUPs and wetsuits to get you out there and practice. Pam Burridge is the 1990 ASP World Champion surfer and influential trailblazer for today’s crop of female surfers. 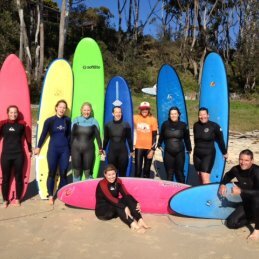 Pam Burridge Surf Schools continues the tradition of making the surfing experience accessible to anyone. Pam’s Mollymook and Bendalong Surf Schools and Surf Retreats offer a unique learn to surf experience on the beautiful South Coast of New South Wales. Come share a wave with us!